If I hadn’t specifically created Day 14’s challenge, then today’s adventure to the Met would never have happened. I pushed us all out of the house mid-afternoon simply because of the existence of this challenge. My kids weren’t exactly itching to go anywhere and they moved accordingly. It shouldn’t surprise you that we arrived at the train station, only to see the train pull away from the platform. But I need to introduce kids to culture, I thought. So, I pulled out my phone and used the Best Parking app (if you don’t use this, you should) and reserved a spot near the museum. In Manhattan, all day parking for $30 is a bargain. We arrived at the Metropolitan Museum of Art at 3:30 just at the beginning of the kids program in the Ruth and Harold D. Uris Center for Education. I didn’t realize the museum closes at 5:30 on Thursdays (but they really start ushering you out by 5:15 the latest). If you don’t know this, children under 12 are free which includes the family programs, but adults have to pay either a suggested $25 entrance fee or a donation of your choice; I chose the latter. Once the tour ended, I handed my children their sketchbooks I brought from home and some colored pencils. 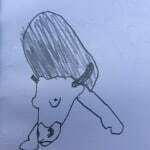 I told them to choose a special piece of art and sketch it. I didn’t think they would take me so seriously, but they did. 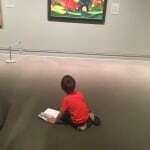 My son sat quietly in front of his chosen pieces. Passersby glanced, smiled, and commented. Even after the security guard told him about closing time, my son still sat. Never would I have guessed that he could focus on something for so long and really lose himself in the art. I promised him that he and I would come back one day and he seemed genuinely pleased. I’m not mentioning my five-year-old much here, but rest assured she came with us, smiling one minute and then stomping mid-tantrum amongst the ancient pieces. I think next trip, I leave her home. So, as it’s a holiday weekend, I thought it appropriate to reflect on friends, family, and meaningful people in your life. Here is challenge #15. This person should be someone your children never met for any reason. It could be a best friend from growing up, a teacher, babysitter, or a relative. What makes this person special to you? 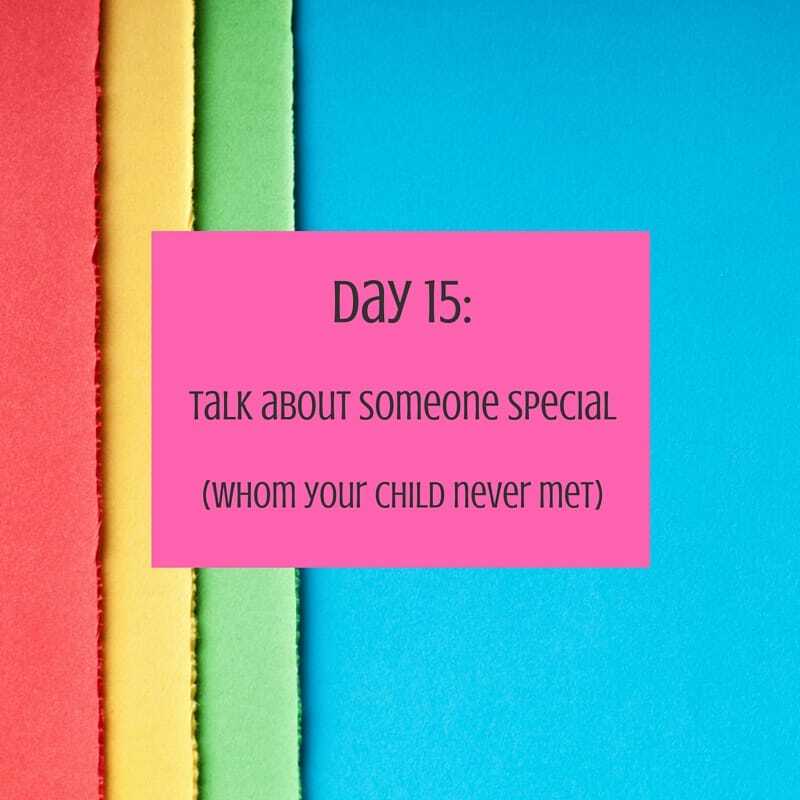 Ask your children to discuss a special person in their lives other than their immediate family. Turn this question into an opportunity to see their world through their unique eyes. As always, I look forward to hearing your thoughts. Good job by Jackson. I love your blog.